Promotional Cooler Bags; Cooler Than Most. Not everything that serves a purpose has to look drab. 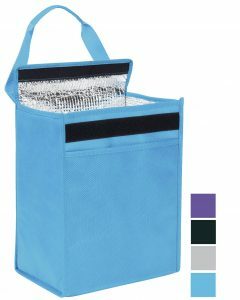 The Sling Promotional Cooler Bags add a lot of style and move away from the normal box shape. 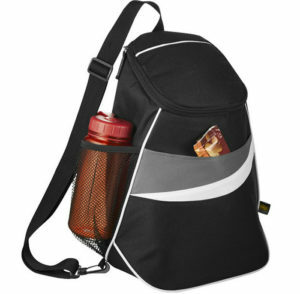 They have a great sporty to give your brand a bit of zest. The grey and white swoosh lines add to the wow factor. 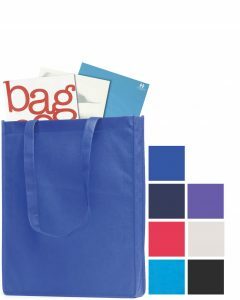 This is a promotional cooler bag that will give kudos to your brand. 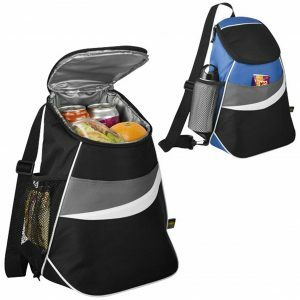 Main Pocket Fully Insulated with leak-proof PEVA Lining. Front Slip Pocket for quick non chilled items. Set Up Charge - £35 per colour. Cooler Bags are not known as the most exciting bags, this is true. Yet, when you get together in the great outdoors, that is when fun begins. To make a true get together into an event its good to have chilled food and drink on hand. 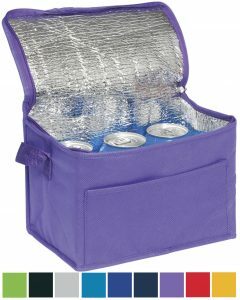 Sling Promotional Cooler Bags will add their own zest. Not just a box of supplies but a stylish way to carry an al fresco banquet. Adding your company logo to these will certainly get it talked about. Two main colours that will fit with most brands. Dramatic stripes which still have an elegant touch. White piping to finish them off. All add up to make a set of stunning bags. Just right to stun people with your brand. This is why we think the Sling Promotional Cooler Bags can be said to be the coolest around.